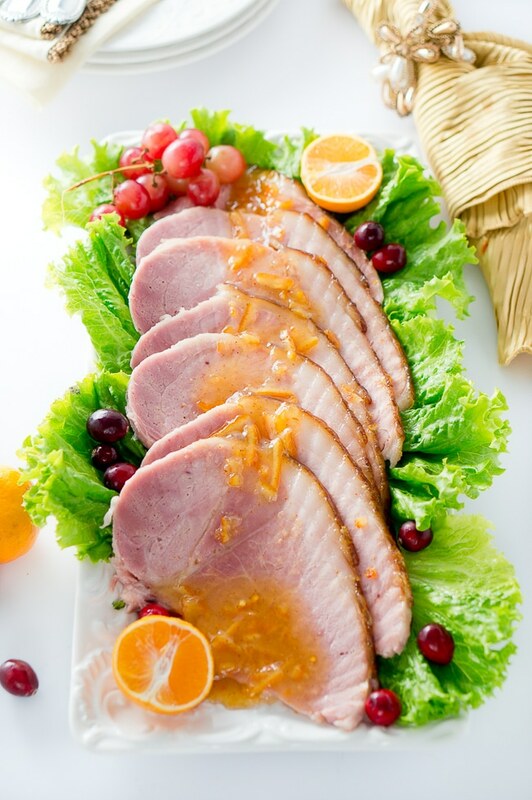 This succulent orange Dijon glazed ham is brushed with a sweet and tangy orange dijon glaze, then roasted to perfection, creating a delicious caramelized outer layer. A big baked ham is one of the easiest things to prepare for a holiday celebration. It’s economical, even a half-ham can feed more than a dozen people with leftovers, and if you buy a ham on sale the week before the holidays, it will bring the per-person cost down even more. It’s also very easy to prepare since the ham is already fully cooked, all you have to do is heat it up to a serving temperature and apply a simple glaze. 10 minutes prep work is all you need to make this incredible ham. Roasting ham with a sweet glaze makes for a showstopping classic. Your family and friends are sure to love the flavorful sweet and tangy glaze. I used orange dijon glaze and it turned out delicious! Do you have a favorite ham glaze? If so, please let me know about it in the comments. 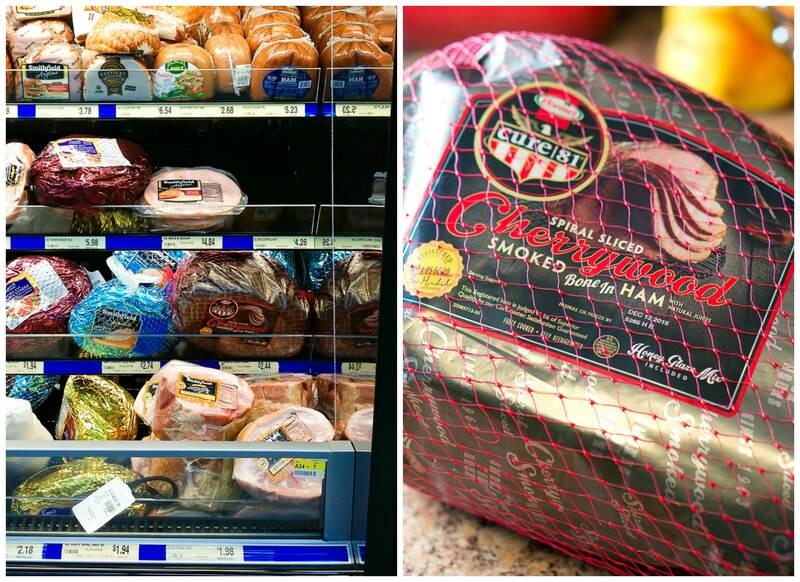 Are you a turkey or ham fan on Thanksgiving? If you have a big family, you can make both! Otherwise, save this recipe for the coming Christmas holidays next month. I love to entertain and I always love to invite friends and family over for dinner for the holidays or when they visit. It is so much more fun to celebrate with more people, to play board games, to chit chat about random stuff, and to spend quality time with your loved ones and dear friends. I got this ham (Hormel Cure 81 Bone-in Cherrywood flavor) at my local Walmart and I am so glad I did – I was pleased with the taste, quality and the ease of the preparation. 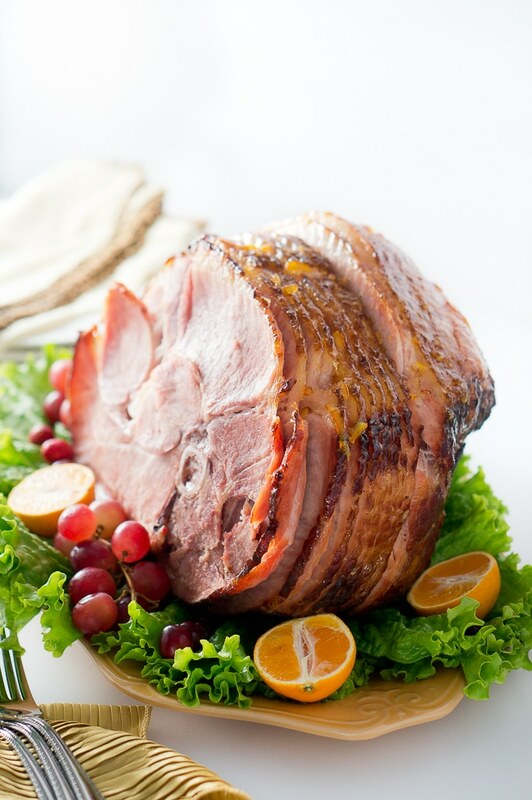 The ham is very easy to prepare and serve, and it got rave reviews from my family! Whether you are celebrating only with your family this holiday season or with friends and neighbors, this recipe is a keeper. 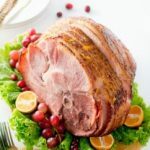 The ham looks fantastic on every holiday table and it’s so easy to roast, saving you time to enjoy your company and spend more time with your family and friends. You can also make your baked glazed ham look like a centerpiece on your holiday table. I arranged some salad leaves on a large plate/platter, placed the baked ham in the middle and added some fruit around it (grapes, cranberries, clementines). I am sure that your holiday table will look festive, vibrant and beautiful! If you like this recipe, visit your local Walmart store and get a Hormel ham to impress your guests for the holidays. 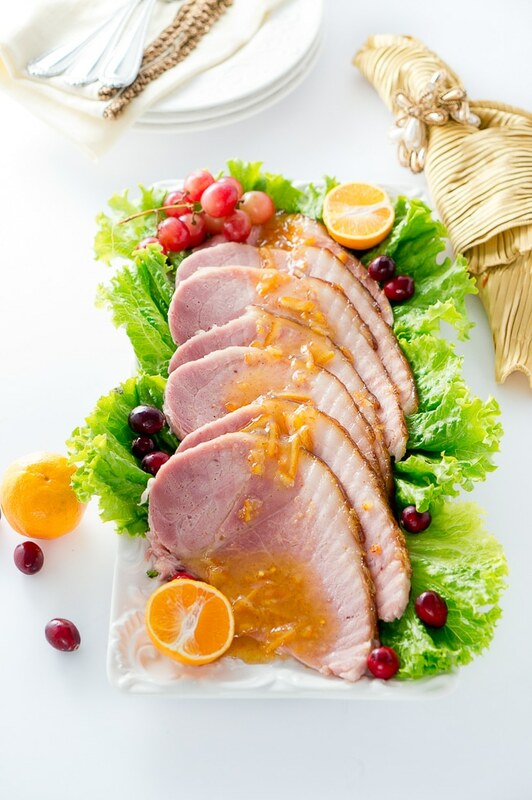 Be sure to check out more delicious ham recipes at Cure81HolidayHam.com. I’d love to hear about your favorite ham glazes for the holidays! Let ham rest to room temperature. Heat oven to 275 F. Mix marmalade, dijon mustard and orange juice in a small bowl. Place ham in foil lined roasting pan. Brush on some of the glaze. Bake according to package directions (I cooked mine for 12 minutes per pound) until the internal temperature of the ham is 110 – 120 F, brushing on more glaze halfway through baking time. Cover with aluminum foil and let rest for 15 minutes before serving. Serve ham with remaining glaze to drizzle over slices. Orange Dijon Glazed Ham - Succulent spiral ham is brushed with a sweet and tangy orange dijon glaze, then roasted until perfection. Heat oven to 275 F. Let ham rest to room temperature. Mix marmalade, dijon mustard and orange juice in a small bowl. Place ham face-down in a foil-lined roasting pan. Brush on some of the glaze. Add 1 cup water to the pan. Cover the baking pan securely with foil or cover with roasting pan lid. Bake according to package directions (I cooked mine for 12 minutes per pound) until the ham is warm, or until the internal temperature of the ham is about 120-130 F, brushing on more glaze halfway through the baking time. Gorgeous pictures! I love that you use orange marmalade as the glaze! I love a good ham! Orange dijon glaze sounds like the perfect pairing. 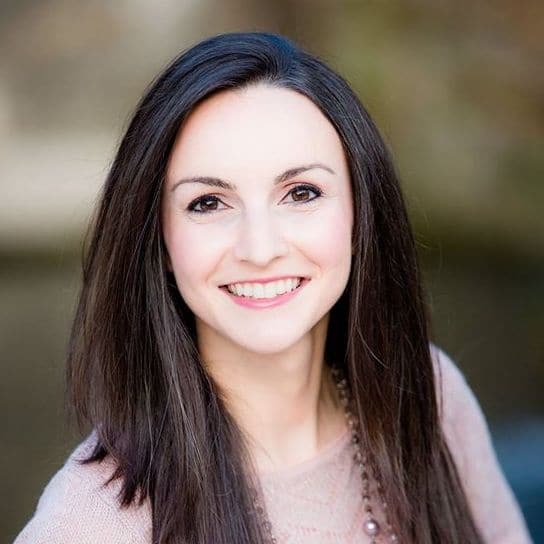 Thanks, Katie! Yes, the glaze was amazing! Your photos are so pretty! This certainly does make a beautiful centerpiece! Love the glaze!! we bake ham for holidays and i will certainly be thinking of this recipe next time. 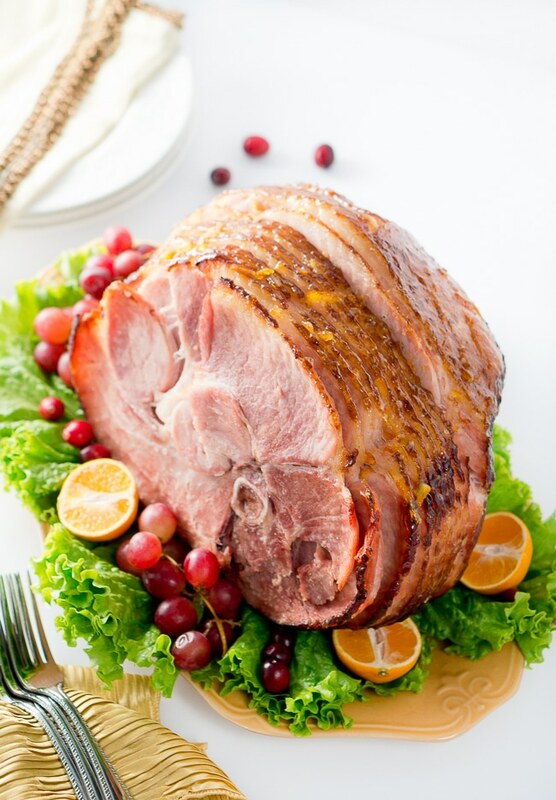 Your ham pictures look so festive — perfect for a holiday meal. I love how you finished the ham. I’ll be pinning and remembering this recipe. My family loves ham around the holidays, and I’m always looking for ways to make it interesting! Your pictures are beautiful! This looks great! These photos are incredible and that Ham! Wow… Love the combo of citris and dijon!! In my meat eating days, I was quite partial to ham and mustard, so I’m sure this tastes fantastic. My mother always does a ham as well as the Christmas Goose, I shall pass this idea on to her. 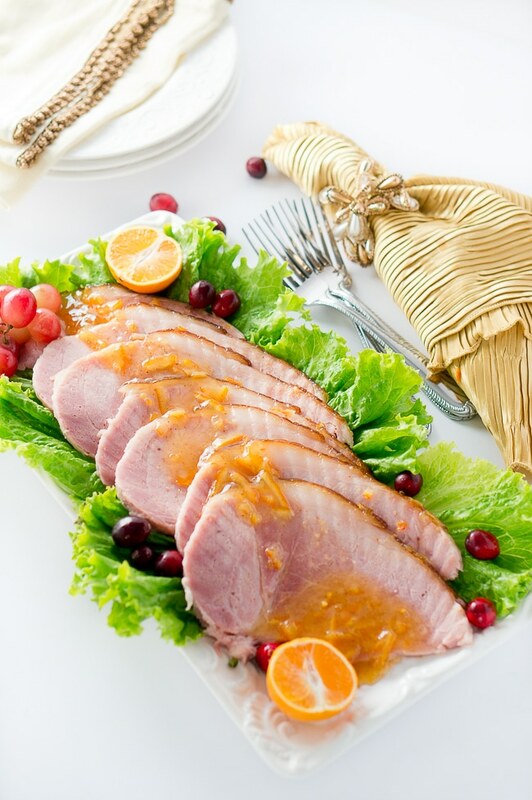 I’m pinning and trying this mouthwatering ham on one of my Christmas gatherings for sure. wow!!! I can’t take my eyes off these pictures! 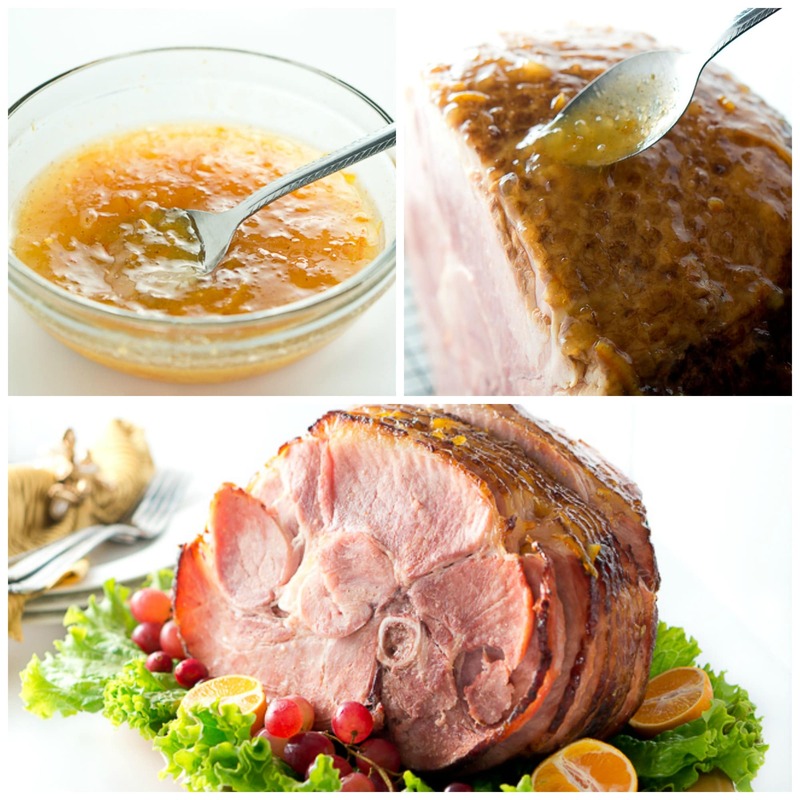 That ham looks perfect for the holidays and I love the idea of using holiday glaze! A well cooked ham is one of the pleasures of the season. Yours looks great! I am seriously thinking of making a ham for xmas so your recipe is perfect timing. Love the use of marmalade. This ham is beautiful! Awesome photos!